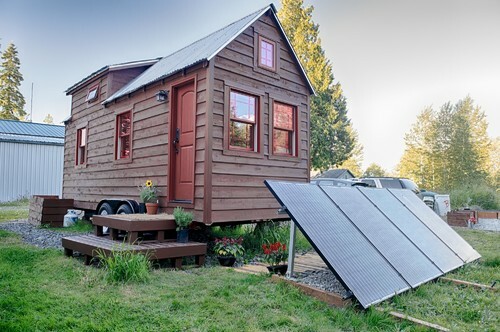 10 Reasons the Tiny House Movement is Huge! 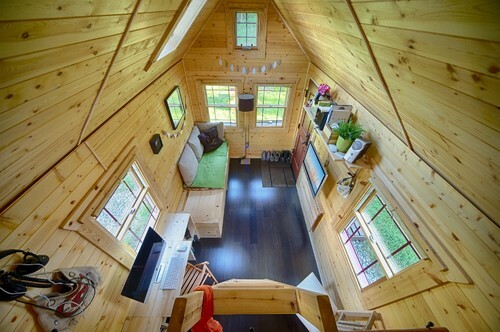 Home » Decor & Design » Other » 10 Reasons the Tiny House Movement is Huge! 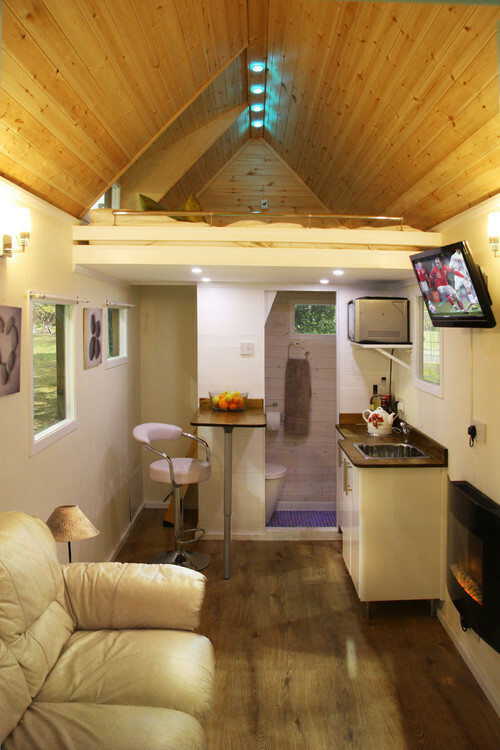 The tiny house movement has introduced the world to an alternative to big living and big spending. It is a trend that has grown in an almost snowball like effect, and doesn’t seem to be slowing down anytime soon. But to really understand why this idea has morphed into the movement that it is today, one must first understand the reasoning behind this drastic change in lifestyle. Just a few months ago, I posted an article on Tiny Houses. It was one of my favorites. So, I am pleased to say that it was quite popular, because that gives me a good excuse to do another article on tiny houses. This time around, I thought I would address why they have become so popular. These, of course, are in no particular order. 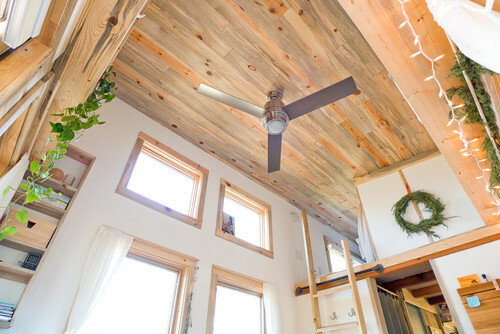 A lot of people have chosen to purchase a tiny house because it gives them the freedom to go where they please without the need to sale and repurchase a new home. Some people do this because they have a job that may require frequent moves. Others just want to see the world – spend time in an area for awhile and then travel to a new location. The average price for a traditional home is somewhere in the ball park of $250k, and for some areas of the US that price is much higher. However, with a tiny house the purchase price is generally under $30, and can be significantly lower than that if your needs are simple. 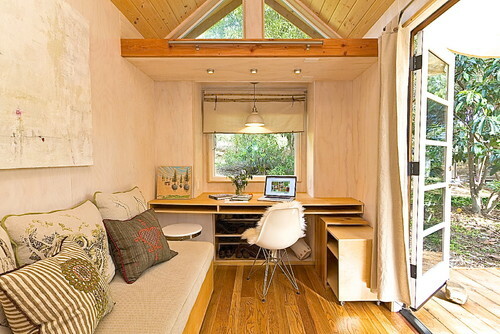 Many people that purchase a tiny home do so because they want to leave a smaller eco footprint on the world. Downsizing your home is a good way to do that. It requires less materials, and many of which are “green.” All together, the lifestyle itself requires less waste and improves ones footprint. Some people just want to get off the grid, to become one with nature. 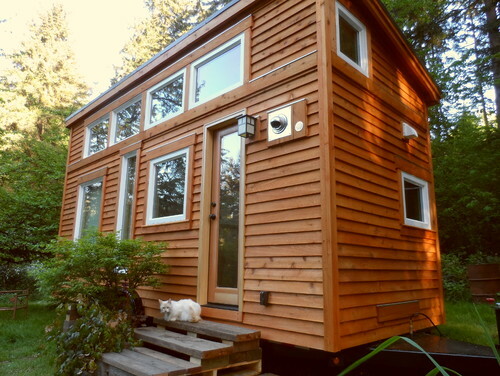 Thanks to the creation of tiny homes, many can now afford to take this leap, where once the expense of such a change would have been unthinkable. What better way to take this plunge than to drive your tiny home as far out as you want, park it, and enjoy a serene life! These homes are self sustainable. Many owners utilize alternative energy forms to keep their homes running. Because the square footage is so small the needs are much less than a traditional home. A small set up of solar panels and even small wind mills can keep these houses functioning. Obviously, the lower expenses and lack of worry over bills can lead to a less stressful life, but for many the solitude and becoming one with nature has quite a calming effect. Retirees and many others have come to the realization that they have quite a bit of unused space in their traditional homes. 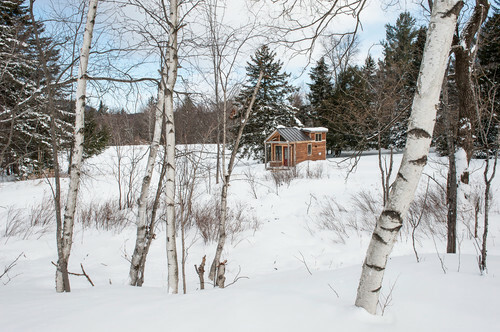 As a result, they are flocking to the idea of downsizing into a tiny house. On the flip side, many college students today are leaving school with their degrees, but a massive amount of debt to drag around. Getting out from under all of that debt can make the dream of having their own home seem like an impossibility. However, many young people are now seeing that a tiny house can offer them a chance at that dream, while allowing them to still live comfortably even with their student loan debt. 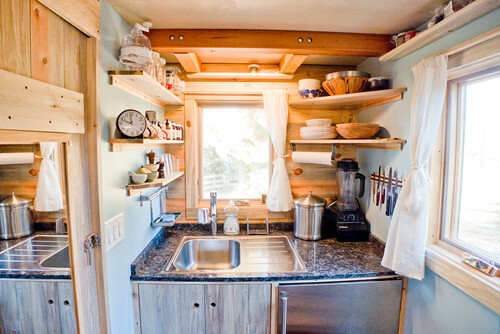 People who buy into the tiny house movement have accepted that their lives will need to be less cluttered. They have simplified their lives by getting rid of everything except the essentials. Doing so not only makes their lives more efficient, but it also makes it much more simple. 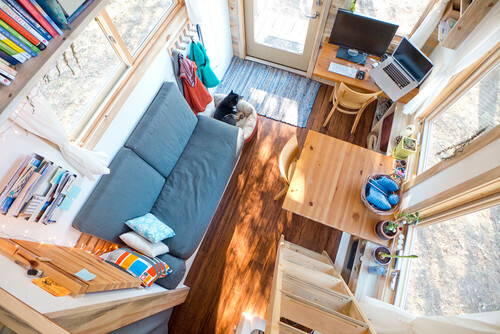 Many people love the idea of being able to convert the savings that they get, from living in a tiny home, into areas that better serve them. Savings from mortgage payments, taxes, insurance, and day-to-day expenses can now be placed in a retirement account, or devoted to a much needed vacation. In addition, maintenance and upkeep on these small spaces is much lower than a traditional house. Utility bills are less because along with the size of the house, the appliances have been downsized, as well. Heating and air conditioning bills are also much lower because the space required to heat/cool is smaller. There is a reason why they call it the “tiny house movement.” Buying a tiny house is about much more than a small living quarters. In fact, it is a completely different lifestyle. One that gets the owner back in touch with the basics of life and helps to put things into perspective. 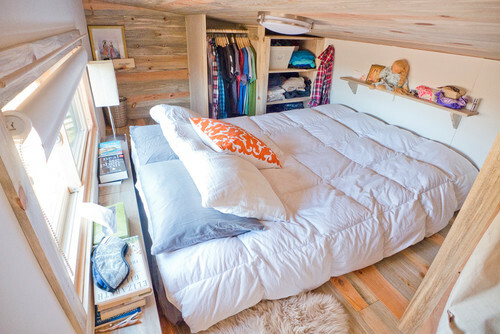 So, could you live in a tiny house? Let me know what you think. Tiny Houses Make a Big Splash! Top 10 Posts for 2015! I love reading about the Tiny house movement. I have down-sized three times in the last three years and I think I am almost to my goal. When I get to the point that my storage unit is empty, then I will be finished. In the meantime, I am living fulltime on the road in my RV while I am saving money to build my own tiny house, and living in the rv is good training for what living in the tiny house will be like. I so admire you for the effort. I know it must take a lot of self discipline to accomplish your goal. Please let me know how it turns out. We are tiny housers, and are chiming in to share how we do it. We do dehydrate a significant amount of food, both on and off grid. On grid we use the dehydrator and off grid adjustable flat screens for herbs and greens or our propane range. We have a huge pantry under the stairs to the master loft and we keep a large jar of each staple and canned goods. We do all of our cooking in cast iron, on wood stove, propane range or campfire. We bake in cast iron dutch ovens with coals. I would say our biggest obstacle is not cooking too much so we don’t clutter the fridge with leftovers. We are making two vertical gardens that can be transported in the back of our truck and each has the ability to grow 50 plants. We also plan to build a small mobile hen house in the future. Thanks for the great article and the chance to share. Thank you for your article. As a newly single mom I am intrigued by tiny houses and the possibility they bring for affordable housing. I would love to know where people are putting their tiny houses. They are not compatible with most of the zoning laws in my area. Yes, zoning laws are something that would have to be checked. I understand that many people who don’t have land use RV parks. Great article. I bought a 32 Ft Forest River unit used by loggers in Maine. I bought a diesel truck to go get it. I am planning a 28 lot tiny home village in Ozello, Florida. Come on down. Fishing is good. I enjoy the enthusiasm of the movement. Good luck, oh how I hope your idea succeeds!! 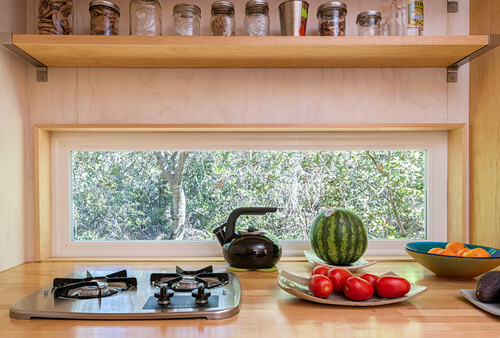 Thank you for publishing the 10 main reasons the tiny house movement is so huge. I’ve been following and learning about tiny homes since 2012. I have a 10 year plan, ( have 7 more to go) that after my daughter has graduated from high school, maybe even before, I will move into one that I build, either on land or in a back yard of someone who is friendly to the movement. I’ve met a lot of resistance and skepticism from family members, friends and co-workers at first. but it seems now that it’s on TV people are understanding what’s behind the movement more. Articles like yours and others help me keep me encouraged that I should and can do it. I’m glad I could help. I think this is a great alternative for an empty nester. Good luck!